never seen that before. i suggest you go vernier the scope and rings. Not good. Rings have likely been over torqued. It is a thing that the Vortex warranty will cover if it is a legit Vortex scope. Yes, I agree it can be a bit confusing because there are different policies depending on where the scope came from originally. Because your scope was originally bought within the territory that we are responsible for (ie Australia & New Zealand), you do not need to provide the originally receipt. Some sellers overseas, particularly in the USA do have a policy of requiring receipts for warranty attention – even though Vortex themselves suggest otherwise, they can’t mandate stores to follow the no receipt policy. I’m not sure if I attached this form with my previous email, but if you can complete as much of this as you can and include it with your scope, that will help us. 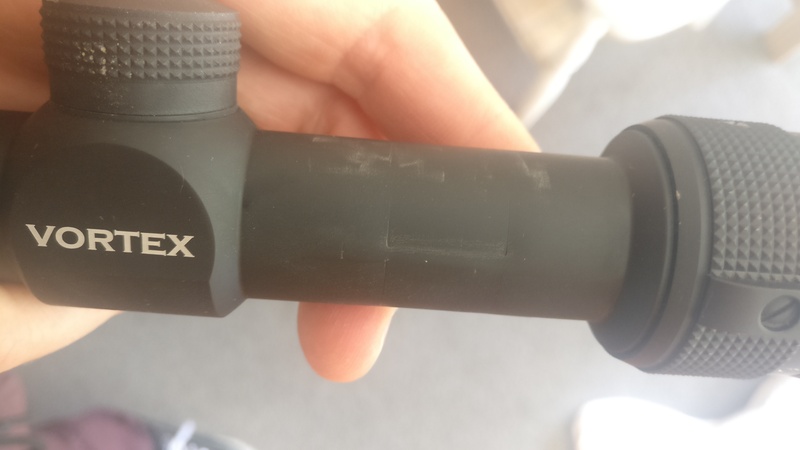 There has been a problem with counterfeit scopes being sold online, on sites like Ebay, not just for Vortex but for other brands too. When I worked in a gun shop a few years ago I saw a couple of fake Leupolds that had been bought on Ebay…we had very surprised and disappointed customers when we told them their scope was not the real deal and therefore could not be repaired under warranty. This is why we always recommend buying from a proper dealer, or at least finding out where the scope was originally purchased, wherever possible. Here are the details of the forwarding address for NZ. If you flick me your email, I will send you a copy of the form to fill out. “So, what you can do is package it up, complete the attached form with as much detail as you can, and include it with the scope, and send it to our warranty agent in NZ – he is the guy the stores send their warranties to. He will arrange to get it back to us for assessment etc”. Extravision rep.
Also, judging by the marks on the scope... it may be possible that 25mm rings were mistakenly placed on a 30mm tube? Iv seen this several times. Generally once the tube is dented it wont track properly and may not hold a zero. The previous chap has over torqued the rings simple as that. It may still be fine only way is to try it, rings look fine to me probably could do with lapping though. Those rings don't look like any vortex rings I have come across before. If I was to hazard a guess, I'd say Chinese made. Will be interesting to see how much material gets removed if you were to lap those rings. Thanks. Sorry but new to hunting. What's the purpose of lapping the rings? Lapping is taking some material off the inside correct? It looks to me like a 1" tube has been crimped by the 25mm rings. Guess that 0.4 mm does make a difference. This will be why I went through a full pack of ammo, not able to get any better that a 3" group at 100m, shooting from a very well supported platform! I spoke to the local hunting and fishing, and they will send for me too at a cost of $15 each way. If I send it myself do I need to include the return postage? Yes lapping will take a very small amount of material off and it ensures that the surface area on the rings is all the same. 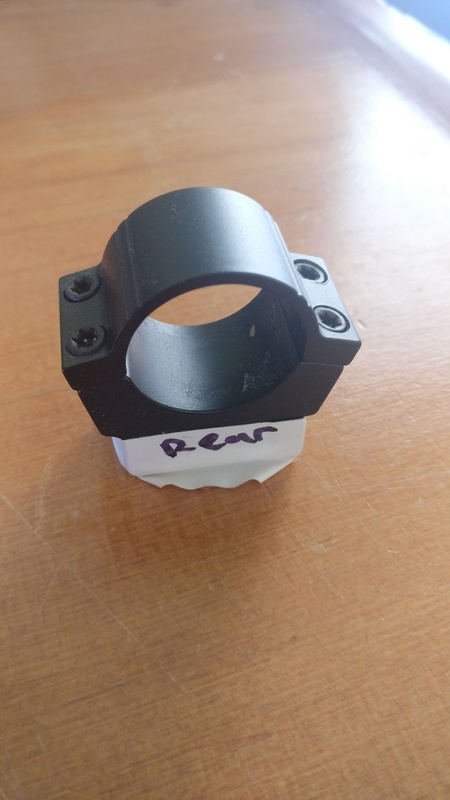 So when the rings are tightened it contacts evenly with the scope so there is no pinching or uneven pressure on the scope tube which can sometimes cause issues. Rings will be marketed as 1inch or 25mm, they are one in the same. Hunter_killer and CamFlatt like this.